In 2015 the City of Santa Barbara was recognized with three Beacon Spotlight awards for their energy efficiency and best practices. The Beacon Program provides a framework for local governments to share best practices that create healthier, more efficient vibrant communities. The program honors voluntary efforts by local governments to reduce greenhouse gas emissions, save energy and adopt policies that promote sustainability. The City of Santa Barbara received the Platinum Beacon Spotlight Award for 26% Agency Greenhouse Gas Reductions, The Platinum Beacon Spotlight Award for Sustainability Best Practices and The Silver Beacon Spotlight Award for 7% Natural Gas Savings. Since 2008, The City of Santa Barbara has completed 70 energy efficiency upgrade projects, resulting in an annual savings of over 3570 megawatt hours, or enough to power more than 325 average American homes. The projects also saved approximately 13,800 therms, or enough to supply gas for over 30 average American homes. These projects have resulted in an annual savings of $446,000. Of the 70 projects, 22 projects were lighting upgrades, 11 were pump upgrade and retrofit projects and 10 projects involved HVAC controls. 40 of the projects were eligible for SCEEP credit and incentives. By replacing the lights in the Granada Parking Garage with LED fixtures, the City of Santa Barbara has improved the parking structure’s light quality and reduced maintenance costs. The payback period for the project is 1.8 years, and the project was completed with help from utility incentives of $131,000. Strategic Planning funds are available through utilities for projects that support The California Public Utilities Commission’s Long Term Strategic Planning goals. Eligible projects include energy and building code policies, local governments leading by example and training for municipal staff. The City of Santa Barbara was awarded planning funds from SCE in 2016. With this funding, the City installed The Enterprise Energy Management Information System, which allows the City to track real-time energy usage of its biggest energy users and use that information to identify opportunities for energy efficiency and conservation. The City also used strategic planning funds to develop a feasibility study for an energy efficiency revolving fund. This fund centralizes the payment of utility bills and channels all cost savings from energy efficiency measures into future energy projects. In 2018, The City was awarded additional strategic planning funds to develop a “Zero Net Energy Roadmap” for their facilities. This planning document will help the City prioritize energy projects through their operations. A detailed description of the City’s completed municipal projects and future plans is available in their Energy Action Plan. Please see the City of Santa Barbara Energy Program website for more information on municipal energy projects. The City’s Climate Action Plan also includes energy savings goals for the city. 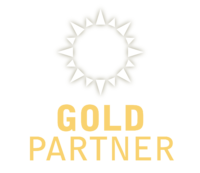 The City of Santa Barbara is currently a GOLD partner, and is working to advance to the highest partnership level. There are four partnership levels in SCEEP – Valued, Silver, Gold and Platinum. As the City/County progresses to higher levels, the monetary incentives per kWh saved also increases.